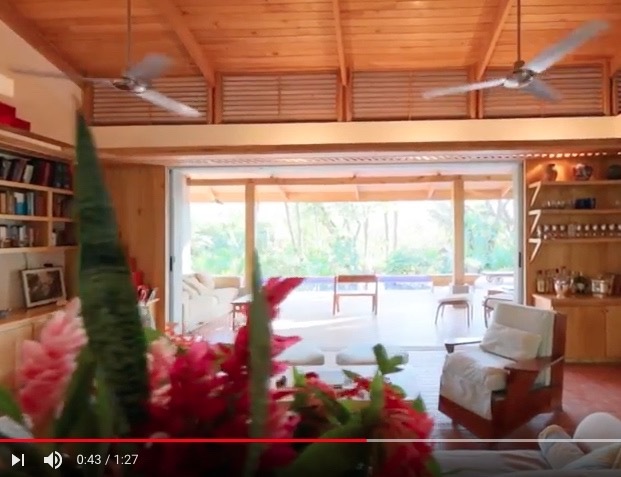 The Costa Rica house is very fine. Close attention to detail. 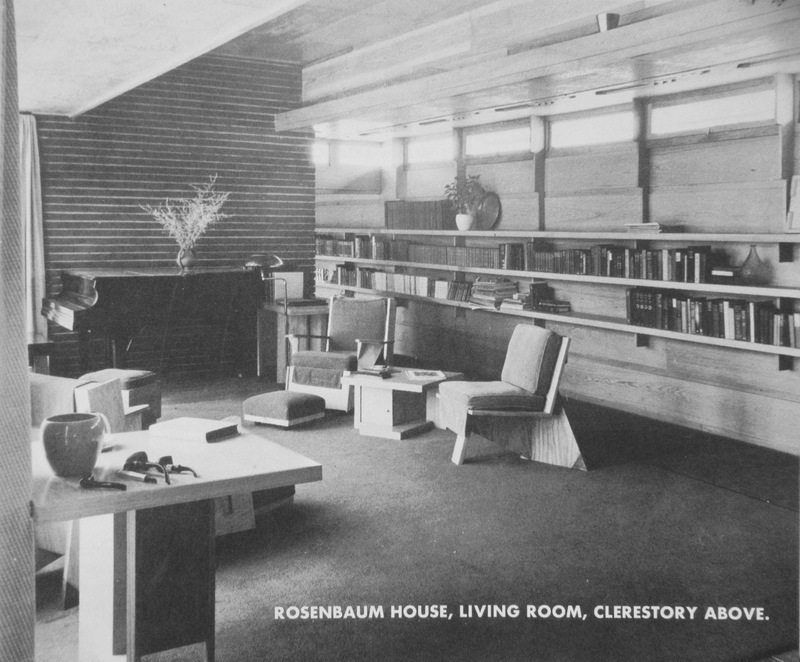 Check out the Usonian(esque?) 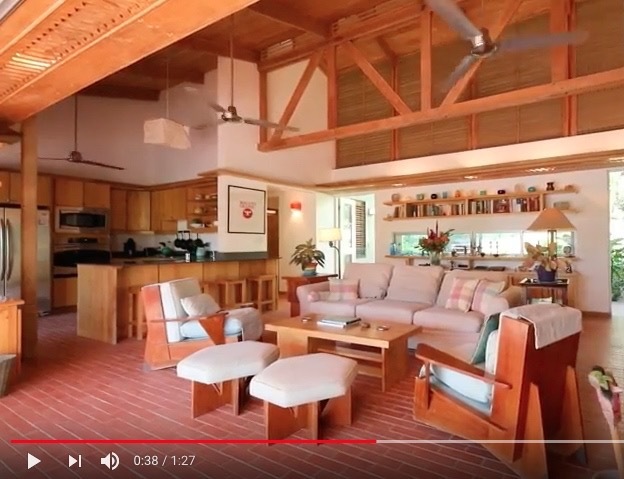 furniture at :34 in the Costa Rica video. Yup. The arm is reminiscent of a chair photographed once at the Rosenbaum house. Wow -- same chair. 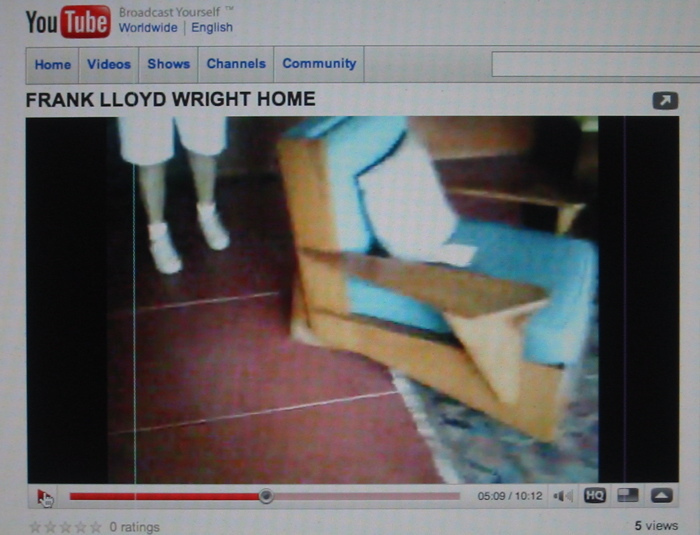 Not Wright, is it ? Are there plans for sale, somewhere ? Thanks to Stafford Norris III, we can confirm that this chair was drawn for the Rosenbaum house. 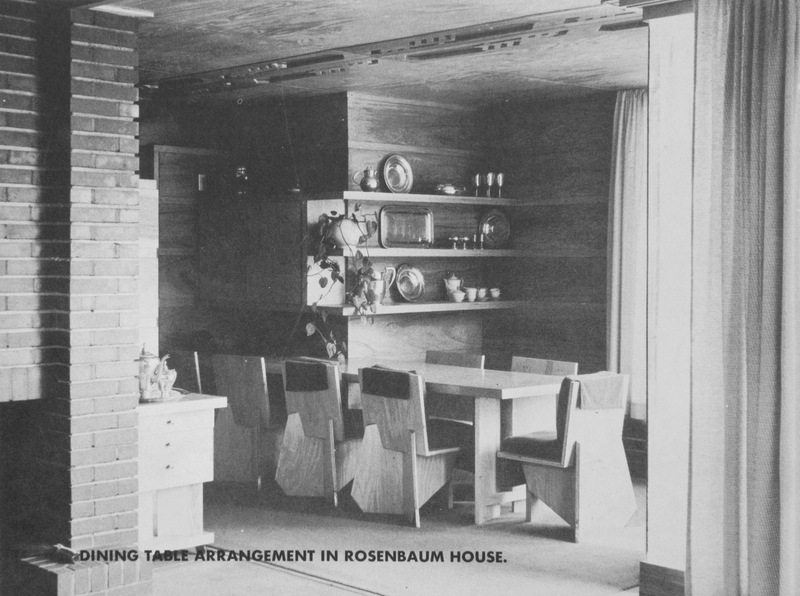 Here are photos published in 1954 in "The Natural House." wheeled footstool. The dining chair with metal-capped legs also appears; the related living-room side chair with extraordinary "angel wing" legs does not. Posted: Fri Mar 30, 2018 11:39 pm Post subject: “...architecture that would make Frank Lloyd Wright proud! Mr. Wright was proud of Fay Jones. And this house is EFJ’s style, so by the transitive property of architecture... Yes, agents are a creative lot. 100% weathered wood, on the interior; an interesting choice. It might feel really nice -- or not; can't tell from here. Would it make either Wright or Jones "proud ?" What do you think . . . ? Interior weathered wood seems the antithesis of material honesty. I vote ‘not proud’. had to teach . . . ? Mary and Aaron need a few acting classes. The house isn't bad, but since it is in Fayetteville, one might expect the reference to be E. Fay Jones, rather than FLW. Yes, that is nice. The rear views reveal what seem to be two distinct building campaigns ? The mixture of brick and stone perhaps stems from this bifurcation . .
any idea who the architect was? I am in touch with someone who visited the house multiple times, long ago. I will ask if there is anything to add to the story . . .